Search New Cars For Sale on Dealer Lots. AutoMall.com makes is easy to research new cars. View the different trim options, compare new cars side-by-side, view photos or research new cars by style, price, brand or the most popular. AutoMall's Comprehensive New Car Search Engine locates new cars for sale on dealer lots across the USA, then delivers those results right to your desktop in just seconds. Give it a try! When you buy a used car, the worst thing that could happen is that it immediately starts giving you trouble. No matter how many miles it has on it, there's really no telling what the full history of the car is, so you're taking a big risk. With a new car, though, you're much less likely to have problems within the first few years of ownership. Buying a new car also means you can control its maintenance schedule and other upkeep from the first mile, so there's no worrying about the fact that it might not have been properly maintained. You can relax knowing you can go anywhere, do anything, and have complete control over the care of your vehicle. One of the big perks of buying a new car is that you get access to the latest and greatest features and technology available. 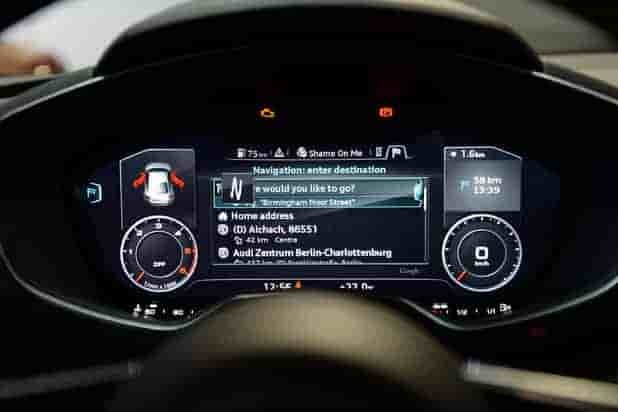 You can be on the cutting edge of features like cross-path detection, lane departure warning, heads-up display (HUD), semi-autonomous driving, in-car Wi-Fi, and much more. When considering a used car, you have to do so with the realization that technology has probably left you far behind. That’s never a good feeling. While used car shoppers with good credit still have access to great financing options, buying a new car allows you access to manufacturer financing deals that don't extend to used cars. Options like 0-3% interest for the life of the loan is fairly typical on new cars for sale, and can save you plenty of money compared to the average interest rate of 5% or more on used cars. Those with subpar credit can also expect to receive better rates on new cars compared to used cars, as manufacturers want to move inventory much more than a bank wants to take a risk by offering you a used car loan. Be sure to check out Automall’s tools for finding the best new car loans by clicking the “Car Loans” button at the top of this page. We not only provide a great new car finder, but an easy way to secure financing while you search new cars. 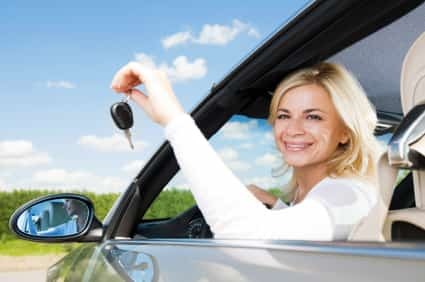 While you might find new cars for sale as the normal way of car shopping, leasing has been taking off in recent years thanks to great deals on financing and the perks that come along with the practice. 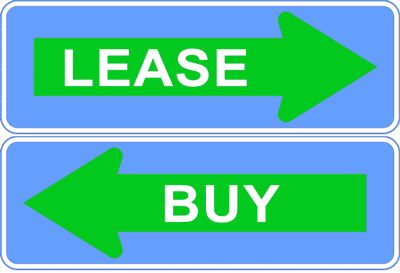 Through leasing, a buyer secures a car for a number of months, typically somewhere between 24 and 48 months. During that time, they're essentially paying for the depreciation the car would normally receive during that time. After the lease period is over, the lessee simply returns the car to the dealership and they're free to buy or lease another car. The benefit of leasing is that it typically comes with lower monthly payments, which can make owning a more expensive car affordable. It also alleviates a lot of the pain that comes from owning a car for 5-10 years. No worrying about it breaking down, getting it repaired, and other costs associated with car ownership as a vehicle starts to show wear and tear. Leased cars are usually covered under a basic warranty that will fix any problem that occurs within the period or mileage of ownership. This protects the asset so it can be resold after the lease is up, and allows the lessee to worry less. If you know buying a new car instead of used car is the right path, you've gotten through one of the easiest steps of the car buying process. From here, you have to ask yourself what you need from your new car most. Does it need to be fun and exciting? Does it need to be practical and functional? Do toy need to seat a certain number of passengers at any one time? All excellent questions, and I'm sure you have a million more. The best way to approach them is to write them all down. Yes, that's right. Every single one of them. 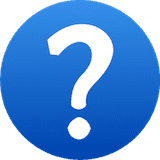 The reason for this is, the best new cars will be able to provide you with at the most correct answers to your questions. Rarely is a car perfect, but your choice should always be close. While there's no telling how your individual experience will be with a particular car, choosing based on reputation and reliability is a great way to cut down on your chances of buying a lemon. For decades, Consumer Reports has been a trusted source for unbiased car reliability studies, and their picks for best new car brands for the 2016 model year should be taken into consideration before you make a quick decision at the dealership. 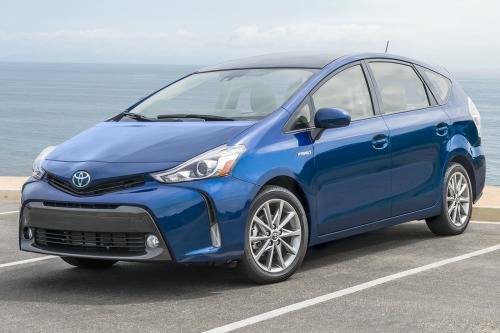 The luxury arm of the Toyota brand has been named one of the most dependable brands by numerous reports, never faltering and always seeming to improve as time goes on. Their motto, "The Pursuit of Perfection," could only further prove how dedicated the company is to doing things right by their customers. As a car maker, Mazda is still incredibly small when compared to giants like Toyota, Chevrolet, Ford, and Honda. But that doesn't mean the Japanese manufacturer produces vehicles of less quality by any means. It received an overall score of 75 from Consumers, which is only one point less than Lexus received. When you think of reliability, Toyota is likely one of the first brands to come to mind. Its reputation truly precedes itself, as it rarely fails to deliver quality to its customers. The company has dedicated itself to providing the most dependable, well-built vehicles since it entered the U.S. market over 50 years ago. The German luxury brand is the only European company to make the top five best brands by Consumer Reports. The company is praised for its technology, luxury, and performance. In testing, Audi received one of the highest road test score ratings of any brand, 81. The niche Japanese brand has a loyal customer base in many parts of the country thanks to its advanced and reliable all-wheel drive system. And while that has been enough to carry it for many years, Consumer Reports admits the company is finally catching up in other areas, such as technological innovation. While not a new idea, the fully-electric cars on the market today are some of the first to ever be released in large quantities. Vehicles like the Nissan Leaf, Mitsubishi i-MIEV, and upcoming Chevrolet Bolt are giving buyers the option to do away with gasoline to truly go green. Because fully-electric cars have yet to find a place in the mainstream, automakers are producing more and more plug-in hybrids. These vehicles have the ability to run on all-electric power for a short range before switching over to the gasoline-powered engine for increased range and performance. For those who want the best of both worlds, a plug-in hybrid, such as the Chevrolet Volt, is a great choice for your next new car. Crossover SUVs really took off in the mid-2000s, becoming one of the most popular car segments. Automakers scrambled to create the best crossover to corner the market. Now, in the 2016 model year, the goal is to create smaller crossover SUVs to make them more efficient without sacrificing the functionality and practicality of a regular SUV. Look out for compact crossovers like the Chevy Trax and Mazda CX-3 if you're on the hunt for the most efficient and compact SUVs on the market.